At the turn of the decade, a little game called Minecraft proved to be a revelation in videogames – inspiring a whole generation of players and developers in the process. Markus ‘Notch’ Persson created a blocky, sandbox world that essentially let us create anything we like and share it with our friends. It’s a cultural phenomenon that sold millions of copies before Mojang, the small studio behind it, was bought out by Microsoft in 2014. There’s been a plethora of Minecraft clones over the years, but none really delivered the whole package like Minecraft does. On top of the vanilla experience, players have created mods and server plugins that expand its creative possibilities even further, from changing the Ender Dragon to letting you play as Thomas The Tank Engine, and even redesigning the entire game with modpacks like Feed The Beast. Sometimes, though, you may only want part of the Minecraft experience, augmented with other flavours and moods. That’s where the best games like Minecraft come in. We’ve got five games here that are similar to Minecraft in some fashion, be it the creative aspect, mining, exploration, or something else. Enjoy! 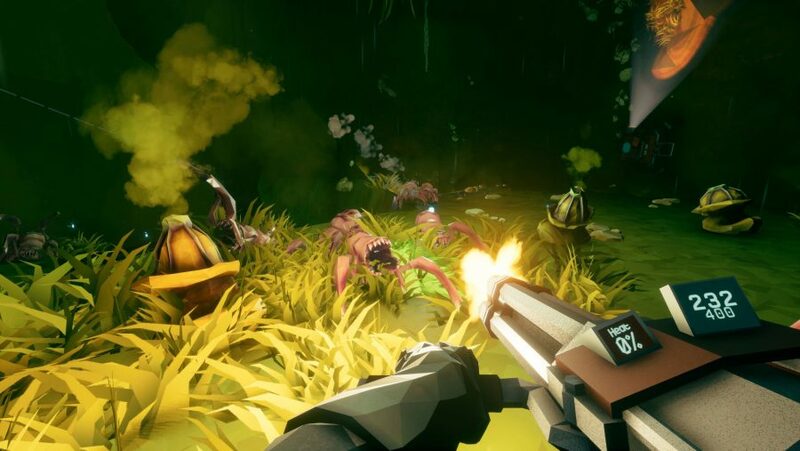 Currently on Steam Early Access, Deep Rock Galactic takes the core concept of mining for ores and valuables and has created an entire game around it, while upping the sense of peril. Of course, mining is a huge part of Minecraft, but if you’re playing vanilla, there’s little more to it than digging a series of tunnels in hopes of striking gold… well, diamond. Deep Rock Galactic expands on that greatly. It lets you choose your preferred class, team up with three friends, and then delve into the “most hostile cave systems in the galaxy.” More than a mining simulator, it’s a first-person shooter in which each cave you venture into is procedurally generated. So, just like in Minecraft, you’ll experience something new every time you play. You can drill straight down to your objective or choose to create branching paths, exploring as much of the underground as possible. What may sway your decisions are the hostile creatures that will stand in your way. You’ve got a vast arsenal of weapons to deal with these threats, but you’ll only be able to hold them off for so long before you’ll be forced to rush to the surface with as many of your treasures as you can carry. Farming in Minecraft is one of the most relaxing activities you can… until a creeper comes along and blows up a large chunk of your land, that is. If you often find yourself tending to your crops instead of building and mining then Stardew Valley will be right up your stree… err, planting row. It starts out as you inherit your grandfather’s old farm, which gives your character a reason to leave the city behind, and try to make it on their own in the countryside. Outside of your customisable house you’re given a vast plot of land to work with, which you can clear and develop as you wish, making space for a multitude of crops and animals. Venturing outside of your farm introduces you to the village where you can meet villagers, go shopping, fishing, and even mining. Getting to know the locals builds up relationships and, eventually, you’ll be able to marry the love of your life. 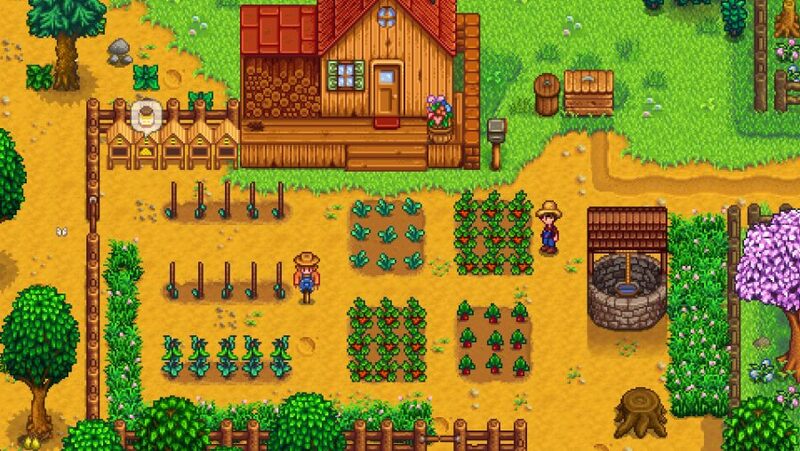 The other way to stave off any loneliness as you earn money by selling crops and livestock is to make the most of Stardew Valley’s multiplayer. It’s certainly handy to have a few more, erm, hands as you venture into the mines and face hostile monsters. Besides that, Stardew Valley is a relaxing experience, and one that’ll help make the days fly by. After a controversial launch on PC and PS4 in 2015, the small team behind No Man’s Sky has put a great deal of effort into delivering the dream game many hoped it would be originally. It’s closer than ever now due to a series of expansions that have added base building, survival mode, and 30 hours of story. 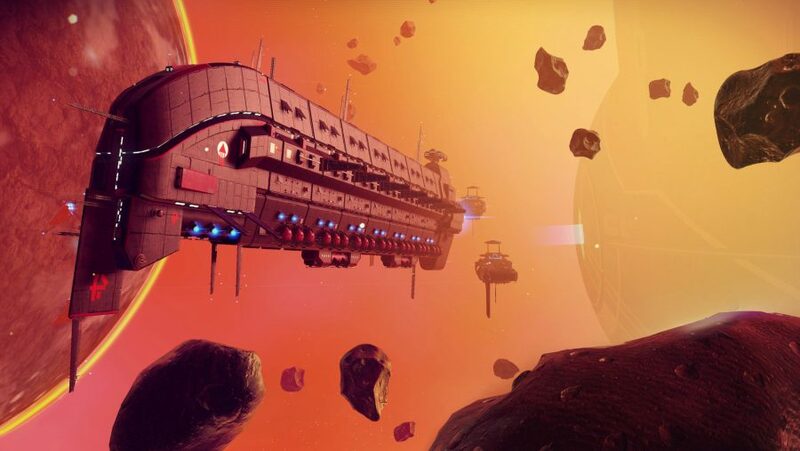 The most significant addition, however, is online multiplayer – which for many people finally makes No Man’s Sky the game they always wanted it to be. So what is No Man’s Sky? Looking at the larger picture it’s about exploration. You go on a personal journey through multitudes of galaxies and planets as you make your way to the centre of the universe. But that end goal of eventually reaching the centre is merely the driving force for you to experience just how much of the game there is. You can meet other intelligent species, bump into hostile robots, document docile creatures, and get into space wars. If you were put off by the reception No Man’s Sky initially received, but still harbour some fondness for that original vision, then you should give it a second chance. It’s changed significantly and could even be considered a successor to Minecraft: you can build a home, farm and harvest crops, and turn your excavation of natural resources into factories. A list like this couldn’t exist without including Terraria, could it? It’s been famously referred to as ‘2D Minecraft’ for as long as the sun has been burning. The fact of the matter, however, is that it’s got a lot more going for it than that. The concept is ultimately the same, as you create your own objectives: build an impressive mansion or base of operations, explore the far reaches of the land, or delve deep into the underground hunting for riches. As you explore further and learn more about Terraria you’ll quickly discover there’s a lot more at play. By completing specific goals, you can unlock NPCs that’ll stay and work in your base, such as a nurse or a wizard. They each have varying benefits and are necessary if you’re to defeat bosses, progress further into the Underworld, and eventually unlock expert mode – more bosses, enemies, biomes, and items. While Terraria’s creative freedom isn’t as open as it is in Minecraft, it offers much more when it comes to combat, and you’ll sink a lot of time into it if you want to complete everything. While Fortnite Battle Royale has exploded in popularity this year, the other – and original – Fortnite game mode, Save The World, hasn’t seen as much support. It’s a shame, as it’s a solid game, and a very good alternative to Minecraft. Unfortunately, it’s not free-to-play (yet) like Battle Royale is, so that instantly creates a barrier for the vast majority of Fortnite players. The combat mechanics are largely the same between the two modes, but rather than fighting other players here, you work together to stave off the zombie horde. That’s a concept that’s been done to death, sure, but Epic mixes it up a little by adding a bit of Minecraft to its riff on Left 4 Dead. You build and create your own base, placing construction parts and traps as you please, and then venture forth into the world to complete missions. 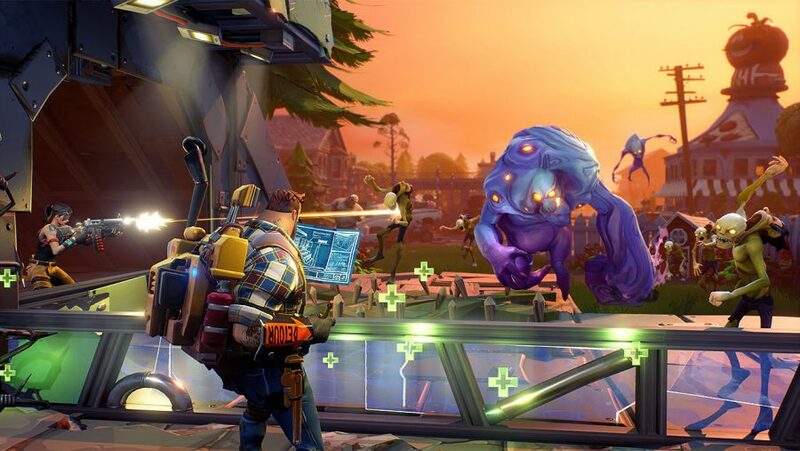 You can play Fortnite: Save The World with up to three friends, and as you beat back the undead together you’ll unlock skill points to upgrade your characters. Plus, there are regular timed events to coincide with real-world festivities like Christmas, Halloween, and Easter, meaning you can celebrate with your friends no matter the distance between you.